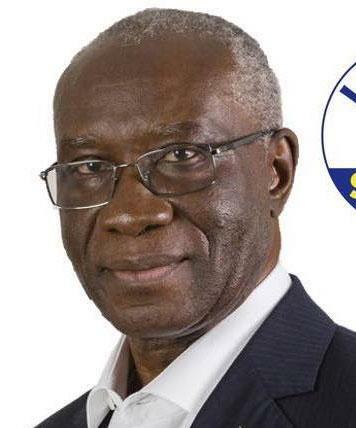 An Italian man of Nigerian origin, who is the chief immigration spokesman for the far-right League party, has been elected as the country’s first black senator. Tony Iwobi, whose party has been accused of stirring up xenophobia in Italy, was elected in the industrial city of Brescia in northern Italy — a major immigration hub. “It is with great excitement that I can tell you I have been elected senator… A new adventure is about to begin,” Iwobi said on Facebook on Tuesday following Sunday’s elections. Born in Gusau in northern Nigeria but living in Italy since the 1970s, Iwobi has been a supporter of the League for more than two decades and used the campaign slogan #StopInvasion — a reference to the more than 690,000 migrants who have landed on Italian shores from North Africa since 2013. Along with party leader Matteo Salvini, Iwobi has argued that illegal immigration into Italy has led to an increase in racism. “Discrimination begins when there are no rules and the state… lets anyone in. Illegality leads directly to violence and a racist response,” he said in January. “The League supports healthy and controlled immigration which can act as a bulwark against racism,” he said. Italy’s general election left the country with a hung parliament in which no single party or coalition commands an overall majority. Political horse-trading is underway as parties bid to form a working coalition government. The League, led by Matteo Salvini, was the winning party in the right-wing alliance that took the most votes on Sunday but fell short of an overall majority.